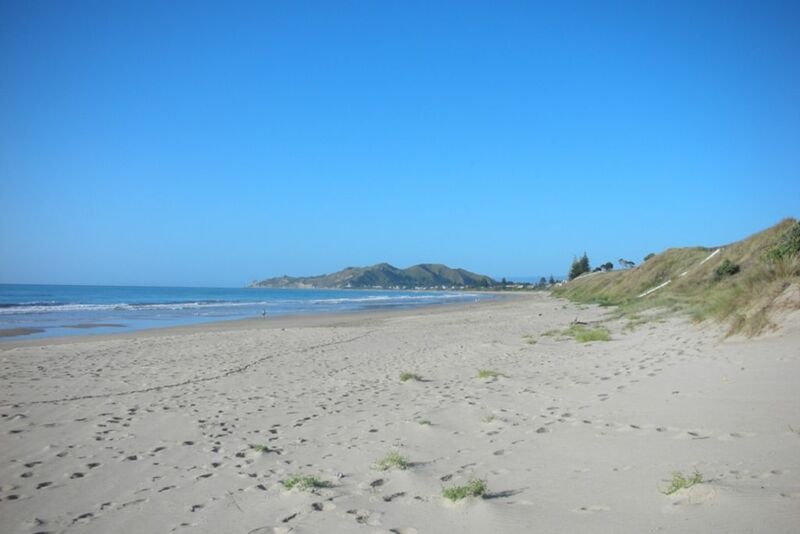 WAINUI ESCAPE is a fully appointed remodeled three bedroom holiday home waiting for you across the road from the idyllic Wainui Beach. The sheltered landscaped outdoor living spaces, indoor open living with HD television, 5.1 surround and wireless high speed internet makes this your home away from home. A five minute stroll to the Okitu Store, collect a newspaper, basic food supplies and an ice-cream for the kids. A five minute drive away is the Wainui Store with gourmet fish and chips that are not to be missed. Famous surf breaks and of course a swim between the flags beach for the kids creates one of the best beach communities in New Zealand. Turn left and you drive towards the magic East Coast with numerous beaches and charming communities. Turn right and you discover Gisborne City with a wide variety of restaurants and of course on the outskirts you have wonderful boutique vineyards offering wine tasting and full meal service. A really great location which was perfect for our needs this weekend. Lovely outlook to the ocean, and a stones throw from the beach. A well equipped home away from home...with very comfy beds!!! Thanks for having us! It’s always our pleasure to share a very special part of New Zealand and equally nice to hear warm thanks. A great holiday home....loved the slightly elevated aspect and view of the sea. We had a fantastic week here. It’s is comfy with everything you need for a relaxing holiday and it’s super close to the beach and local store. Organising the arrangements with Bruce was so easy and the property manager Gaye is really friendly and helpful. We will be back!! It’s so easy with great guests and they were excellent whom I’d happily welcome back anytime...of course I’d recommend them to other Bach owners too. We are glad to hear you enjoyed your stay and of course you’re welcome back anytime. Beautiful location and amazing house. First got in nice warm cosy house. Greeted by manager Gaye who was understanding in more ways then one. Lovely host Bruce who accomodated us nicely would definitely come back again for sure! Very happy to accommodate our guests by providing service that all clients deserve! They left the house as they found it and would welcome them back again in the future!